Hello everyone! Today I have another special blog post for you. 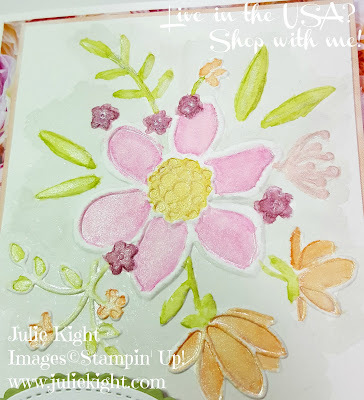 Kylie Bertucci, a Stampin' Up! demonstrator in Australia, has invited demonstrators from around the world to take part in a fun international highlight blog. And here is my card! The theme this month was "Sorry" so I thought of the Ribbon for Courage stamp set. 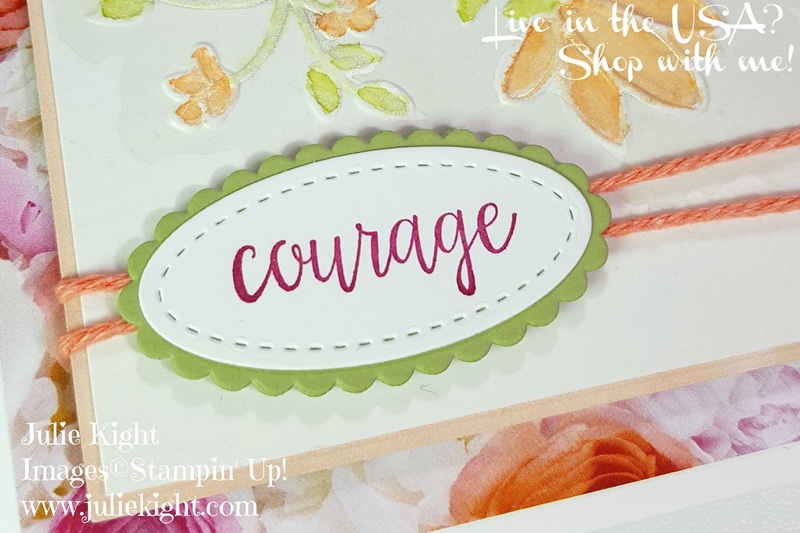 Patty Bennett created this stamp when she reached $1 million in sales and it is honor of her mother who she lost to cancer. 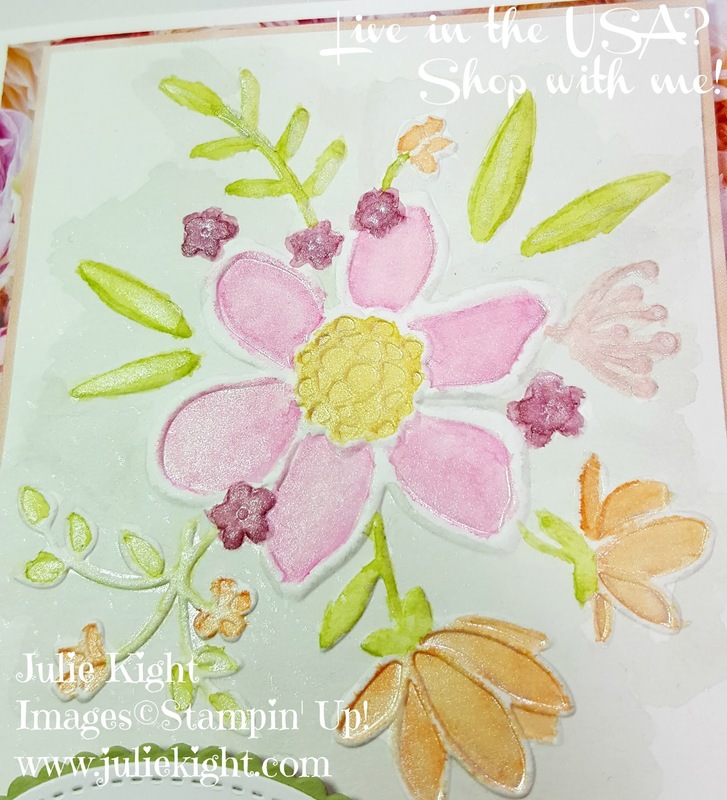 I started with the Lovely Floral Dynamic Textures Impression Folder and used Watercolor paper. I used the Aqua Painters to put the ink exactly where I wanted it. When I was finished watercoloring I then watered down a couple drops of the Shimmer Paint in Frost White and painted it over the areas where I had watercolored. 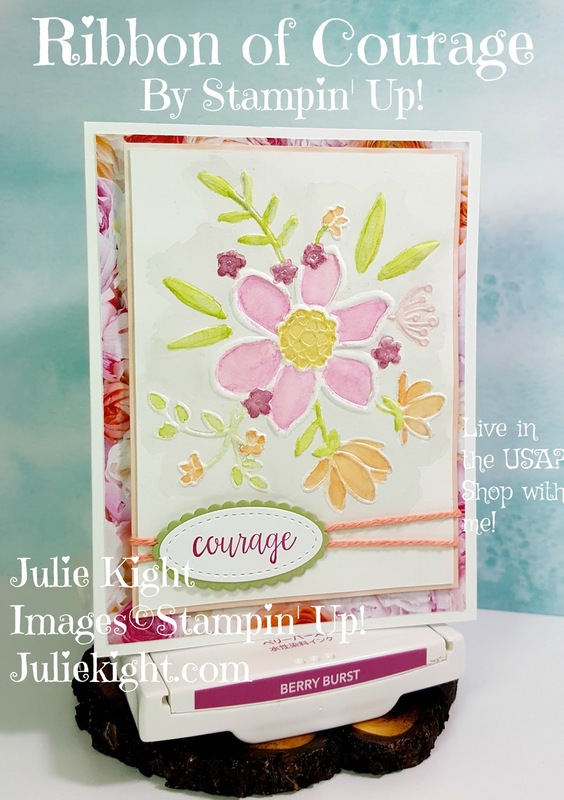 I stamped my sentiment and then layered it and placed it onto the card over some of the Nature's Twine in Grapefruit Grove. I placed the whole piece onto a piece of the beautiful Petal Promenade DSP (Designer Series Paper). Here is the inside of the card too. 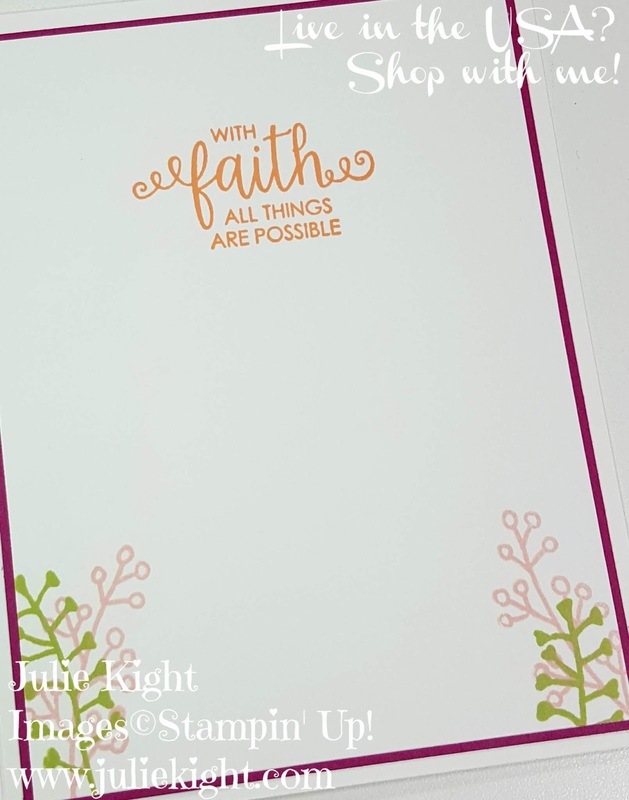 I love stamping the inside to carry the outside theme to the inside. Plus it really tells the recipient that you care. Thanks so much for looking! 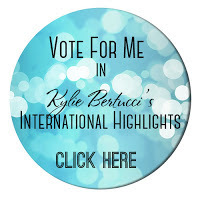 Please click this link to vote for my card! I'm #8. 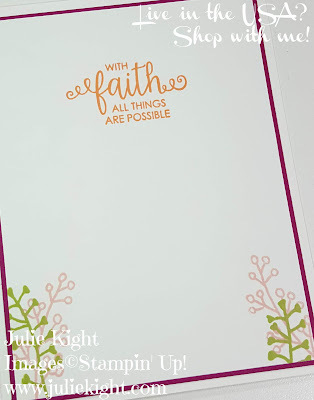 For you today I have a special promotion from Stampin' Up!. 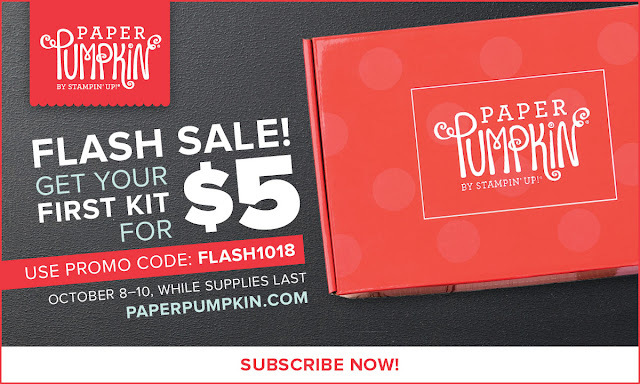 Starting today and only until Oct 10th you have the chance to get a Paper Pumpkin box for ONLY $5 for all 1st time subscribers. That's right, $5. But there are only a very limited amount that will be available, if they sell out today then it ends early so click here to try one out. Such a pretty cards, thanks for sharing it!